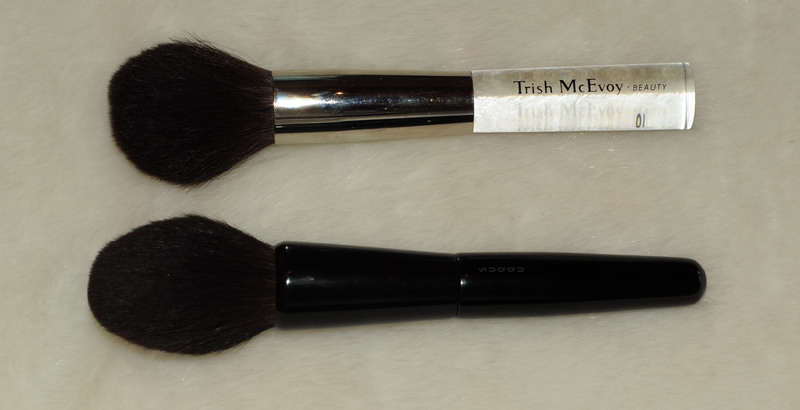 I have finally been able to see Trish brushes in person, until last week I had only two, the 37 bronzer and the 40 medium laydown that I both got via swaps in Makeupalley. Last week I bought a few others and even though it’s a bit too soon to review them in detail, I will show you some comparisons. I bought the 45 in Liberty and the others in Selfridges, these are the only two places where I know you can get Trish McEvoy in London. I believe that the 37 Bronzer I have is an old version, you can see the handle is longer and flat at the bottom. The new 37 seems smaller but looks more tapered and rounded, I may be wrong since I haven’t seen them side by side, I can only see it in DelicateHummingbird‘s pictures. Hers seems to be more tapered and gives the impression that you would have more control on the application. The 37 brush I have is really, really soft. The closest one I have is the Suqqu face powder. 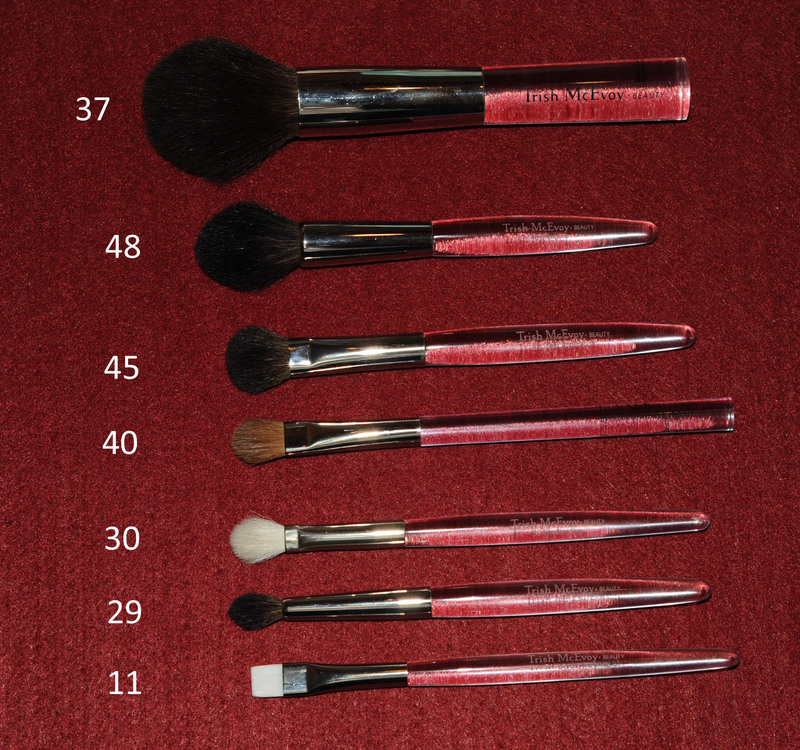 The Suqqu is bigger, denser and allows a bit more control with the application. Both are insanely soft, but the Suqqu is way more expensive as you can imagine. I use this 37 for a sheer all-over face bronzer application or to “set” my foundation with powder, it wouldn’t be a “set” type of application on my dry skin but what I tend to do instead, is use Mac MSF Refined or Lightscapade for example and dust some on the temples and the cheekbone area, it’s very easy to over apply because you just don’t want to stop… feels like heaven. The cleaning of these brushes is time consuming, they need a wash with the mildest shampoo and from time to time I also use conditioner. They are delicate so you need to wash them with care, remove the excess water and lay them flat to dry, then keep them stored in a vertical position and not touching others if possible. That would help them preserve their shape and quality. I love these kind of small versatile brushes. You can use them for so many things, blush, highlight, contour… What I love about this one, is that it’s very soft yet firm, this allows me to apply contour and blend without any harsh lines left behind. The Trish is grey squirrel, the Hakuhodo is a blend of Sokoho goat and blue squirrel, the Hakuhodo is way softer and costs… 34 usd, you should just run and get this Hakuhodo ! The Mac is a fantastic brush but it’s LE and not available anymore. I was looking for this kind of all-over eyeshadow brush. I was expecting to be able to use the Claudio Riaz eyeshadow primer but I had to return it because of the quality issues I had with the handles. The bristles of the CR were far from being as soft as the Trish 45. Compared to the Trish, the Bobbi Brown feels scratchy. The Mac 227 is extremely soft as well and the quality of the one I have (I got it in a CCO) is mind blowing. 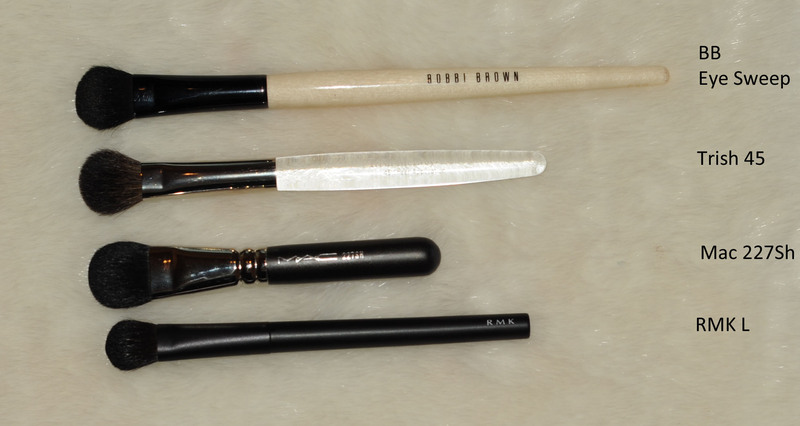 The RMK is also a very nice brush (horse) but the Trish 45 feels so much softer on the eyelids… To me, the perfect brush for base eyeshadow application. 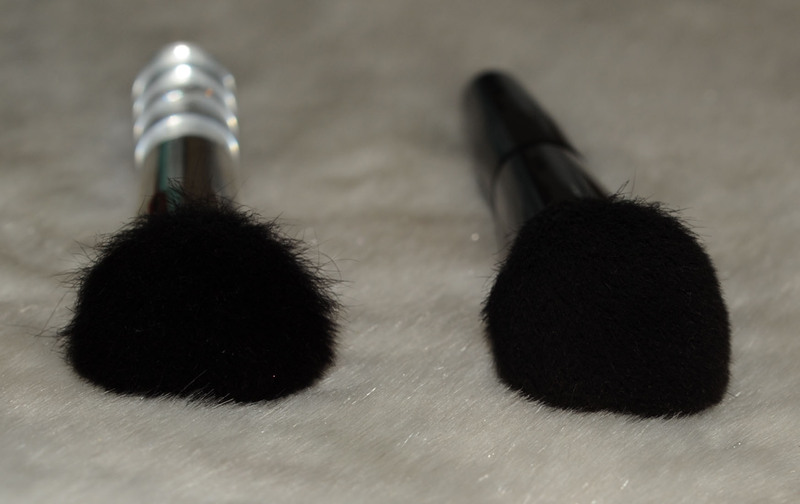 It’s a sable brush and versatile but I use it only for cream base application. I prefer the RBR 003 over the Trish, the RBR is made of pony hair, it’s thicker and softer, but both are really good. I believe this is made of grey squirrel. It’s exactly the size of brush perfect for my crease, fits like a glove, moves like a Ferrari… 🙂 Don’t need many moves to get there. I wish it would be softer but it’s efficient. Well, I sure did not need this one.. I have many dupes, better and cheaper ones. The Sigma is even softer, same for the N7. The N7 shed a little bit but it seems to have stopped and feels really soft and the shape is really nicely done too. However, the Trish is more tapered and wider, again it depends on your own preferences or how you like to blend your application. 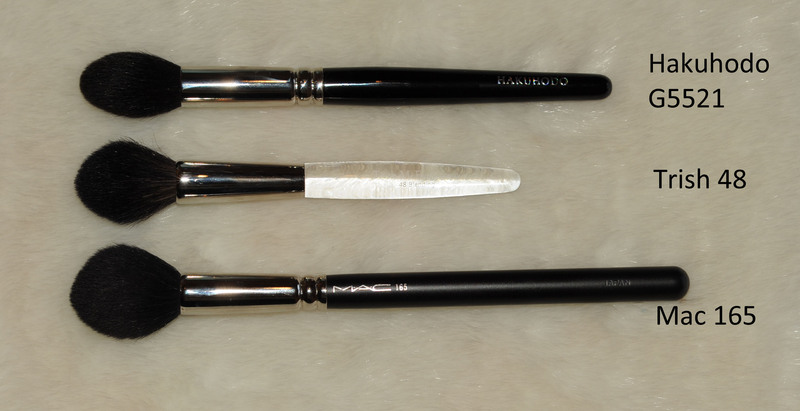 For the “all-over” blending, I would use a bigger-flatter brush like the hg Hakuhodo B214. I will carry on using it for sure but I think I will use it more with cream/mousse shadows like the Shiseidos or the Chanels. I’ll keep on trying and in the meantime, after I fail miserably, on top of the failed tightline application, I cover the shaky application with the same tightline product but with a rounded thick eyeliner brush. I actually like it A LOT. It’s a thick wet-powder application of the LM tightline product and it’s less harsh than a gel eyeliner, I just love it ! Bottom line : I don’t mind short handles if I can hold them properly and if they are well-balanced, these are. They are totally worth the price, no shedding, soft and well designed. Trish McEvoy – some brushes reviewed was last modified: August 4th, 2013 by Sonia G.
To dry brushes head down, there is a very good method (have a look on glossedintranslation) with rubber bands, I manage to dry even my kabukis like that. as for a good cleaner, you can try The Masters Brush Cleaner soap which is excellent to keep brushes soft as there are some oils, I believe, to condition the hairs. thank you for the great tips and for the links, and they deliver to Europe ! that’s excellent for me since I need to order my LM repair creme very often ! Well, for shu uemura I don’t have a link, they opened a webstore in France some months ago but everything is very expensive and they deliver only in France. Shu seem to expand to different countries via a website, so probably it will be the case soon for yours too but meantime if you are interested in something, I can help you to purchase. 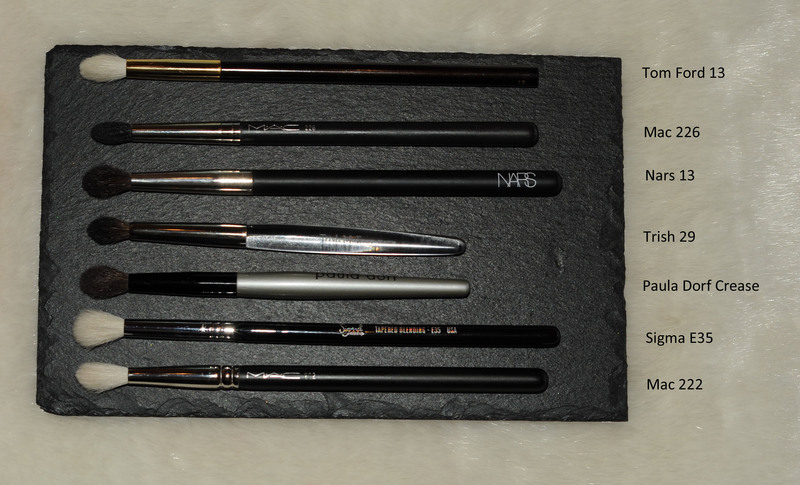 Let me know what you think of the Kanebo and Lunasol if you do get them.. they seem to be very nice brushes ! 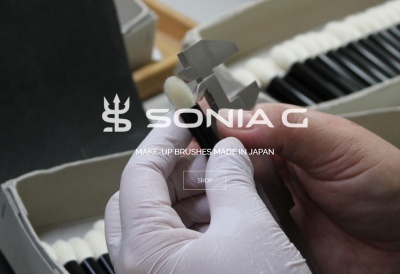 Sonia, so many of my TM brushes were purchased so long ago that the numbers have worn off! 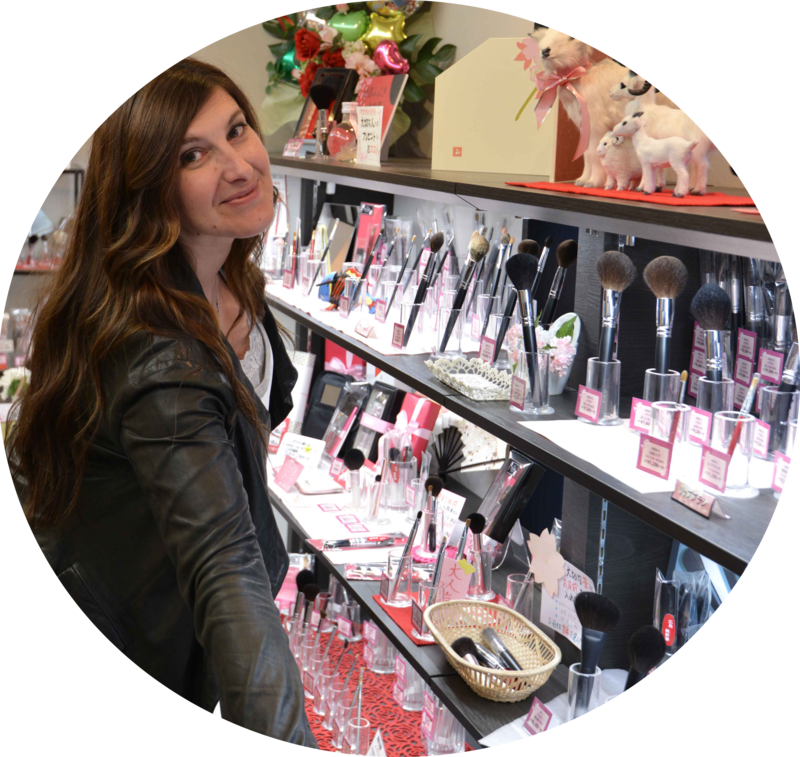 Years ago when the line first started I had my make-up done by Trish… It was an extremely informative/ educational 45 minutes. I took so many new techniques home with me along with quite a few of her (wooden handled at the time) brushes and products. 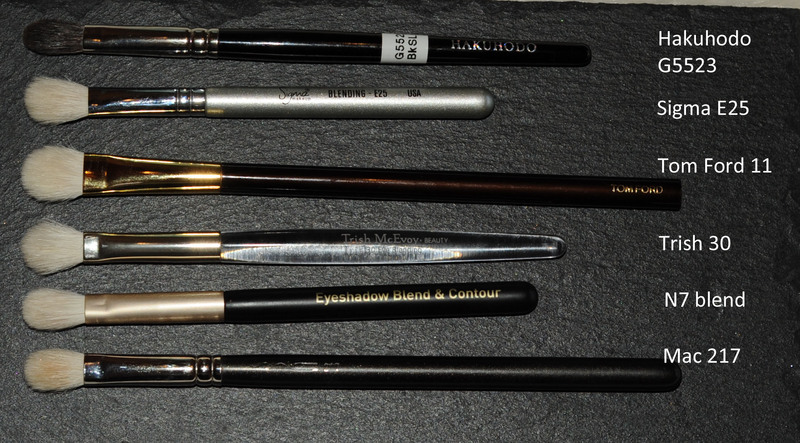 Over the years I repurchased many of the brushes when the wooden handles deteriorated. The brush heads were in perfect condition but what can you do without a handle? I have always loved them all but pushed them to the back when new ones came home with me. I have recently put many back in rotation and realized my mistake! Some of these far surpass the new additions in quality! I do NEED to get the 45 🙂 asap! I am with you on the no. 11 I have to have the patience and time to create a successful eyeline. Nine times out of ten I don’t. Nikoleta: Thanks for the great link and brush cleaner recommendation! They told that the ones they have at home and use for the personal use are perfect and remain perfect through the years. I want to keep my brushes for the longest time so if I see that the handles or the hair don’t look solid when I buy them, I don’t see the point in keeping them. I am sure the experience with the make up done with Trish was interesting, the first time I ever had my make up done was at her counter, they told me I was doing many things wrong and when they finished with me I was transformed !